Vishnu, whose name means "All-Pervading,' is the protector of the world and the restorer of moral order (dharma). He is peaceful, merciful, and compassionate. To Vaisnavites, Vishnu is the Supreme Lord. 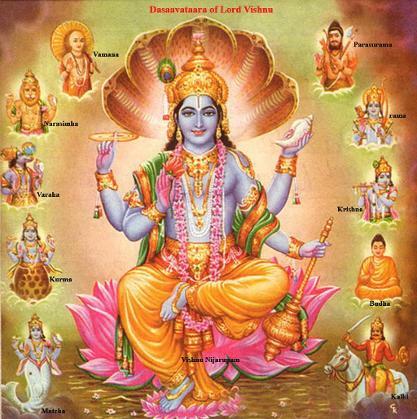 Vishnu is best known through his ten avatars (incarnations), which appear on earth when there is disorder in the world. Rama and Krishna, whose stories are told in the Epics and the Puranas, are the most popular incarnations of Vishnu by far.